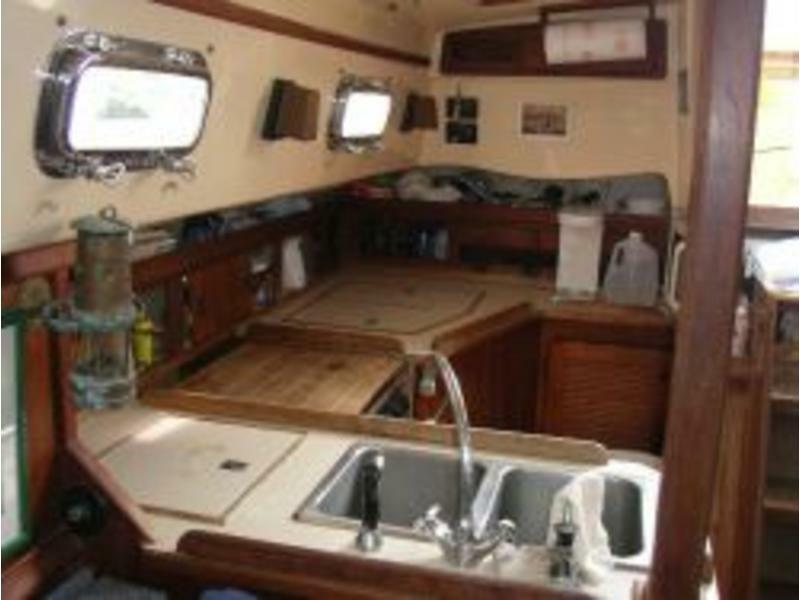 The Island Packet 35 has a generous spring to the sheer, a short spoon bow and a chopped off transom with very little camber. 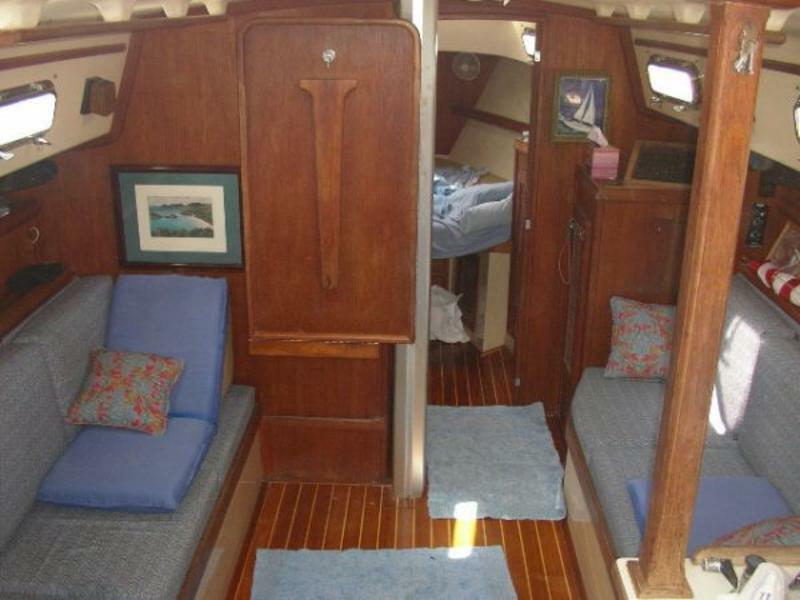 The bowsprit-platform nicely extends the sheerline making the boat appear longer and lower than it really is. 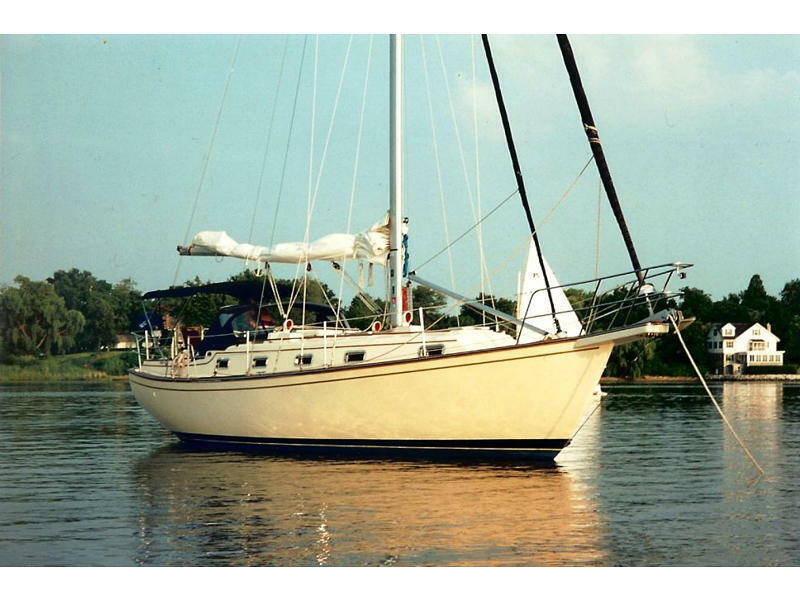 You have your choice of the shoal keel or the even shallower draft keel with centerboard. I can’t see any advantage to the centerboard model unless having nine inches less draft is critical to you. The D/L ratio of this design is 246. All full keel designs are not heavy. This one is moderate. 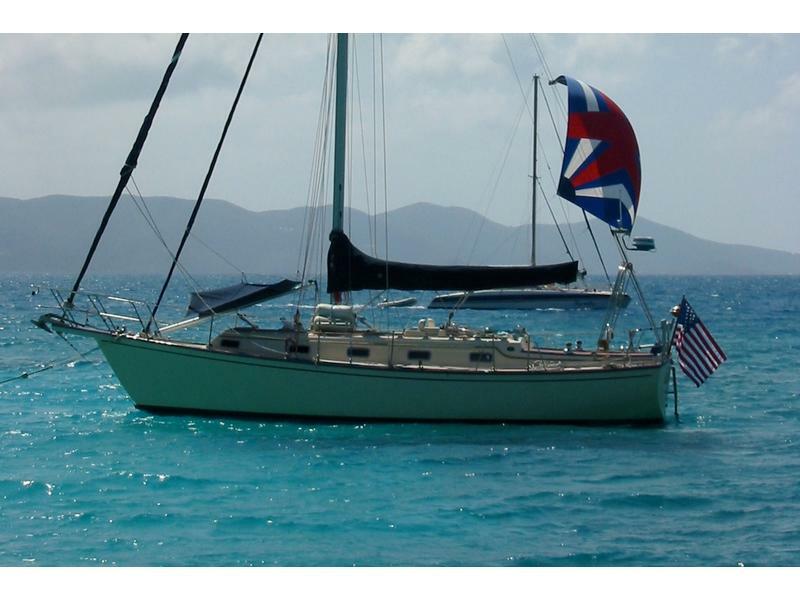 The cutter rig has become the option of reefing the main, dropping the yankee and powering to weather under the mini-masthead rig with the staysail. I will guess that with the bowsprit, the IP 35 has a nicely balanced helm. The mast has single spreaders which are all you need when the chainplates are out at the sheer. Some of you will say that there are no runners for the staysail. This is true, but if you have a stout mast section, you can get by without running backstays. 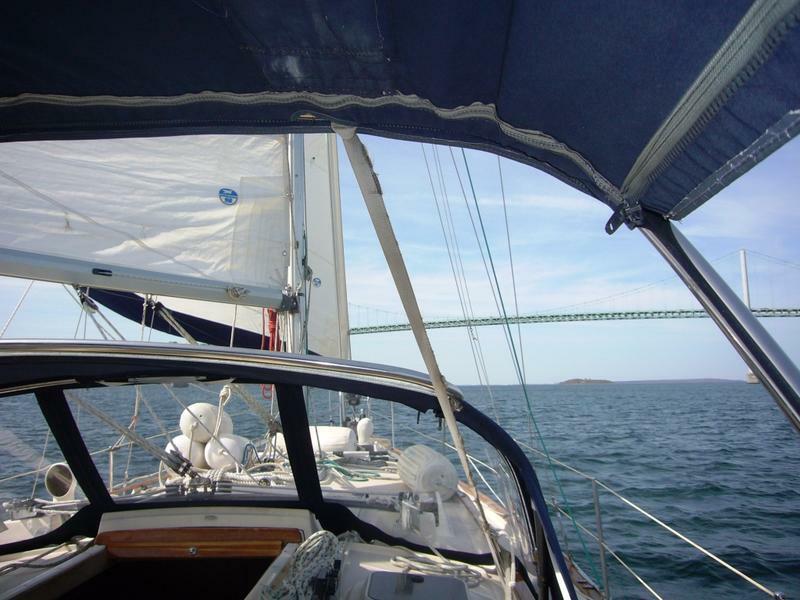 The SA/D ratio is 16.1 using 100 percent of the foretriangle as is customary, and not both the staysail and yankee. 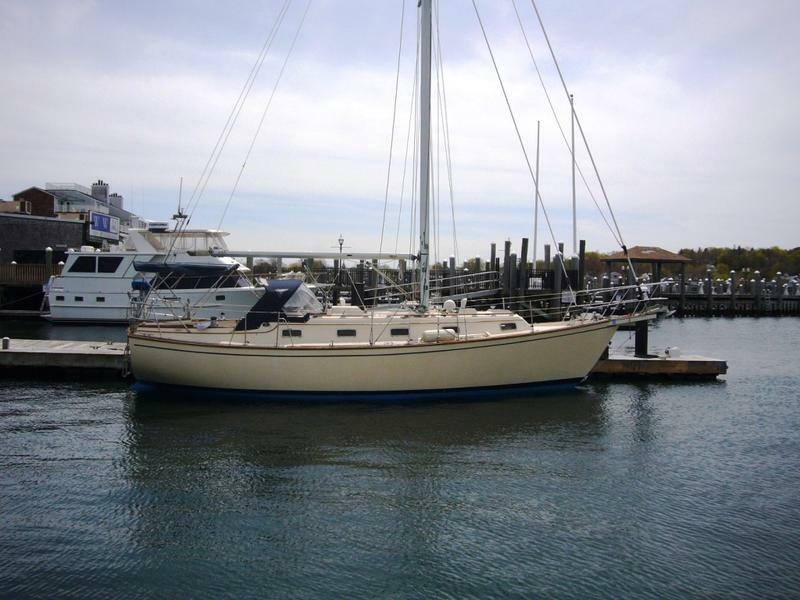 The Island Packet combines contemporary hull design with the forgiveness of a long keel to give the owner an easily handled yacht that takes care of itself with little helm assist. 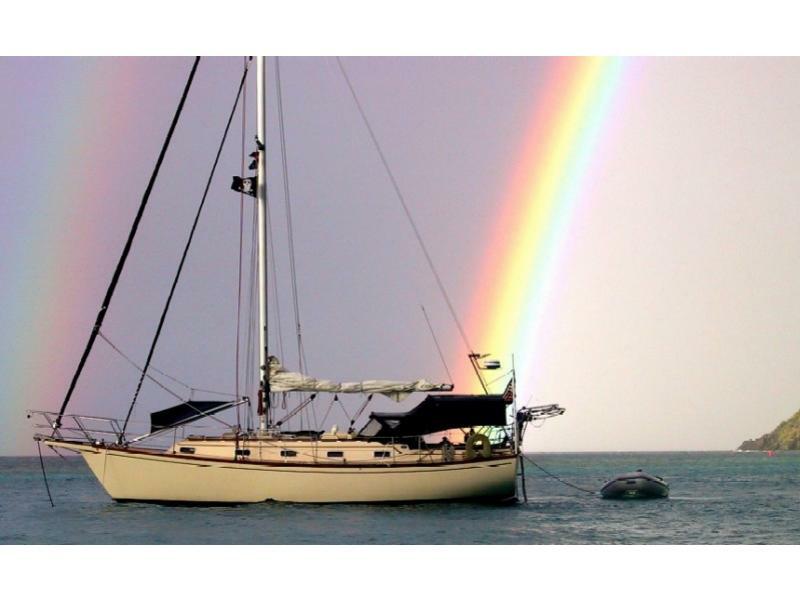 This is what a long keel boat should do.